Shitake mushroom and spinach is another one of my favorite miso soups. 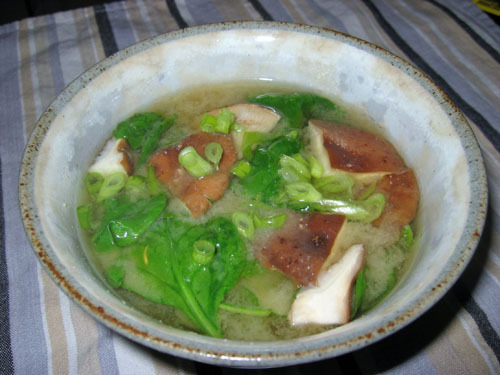 When choosing ingredients for miso soup it is good to choose ingredients that have different properties. For example: some that are firm with some that are soft, some that float with some that sink or some that have a dark colour with some that have a light colour. Bring the dashi and shitake to a boil in a small sauce pan.